My dissertation proposal was due today, the day of my self-imposed deadline. However, I sent it to my committee chair on Wednesday for feedback. I don’t want to work on it anymore until I get that feedback. I really don’t want to work on it anymore, period, but that’s not possible. 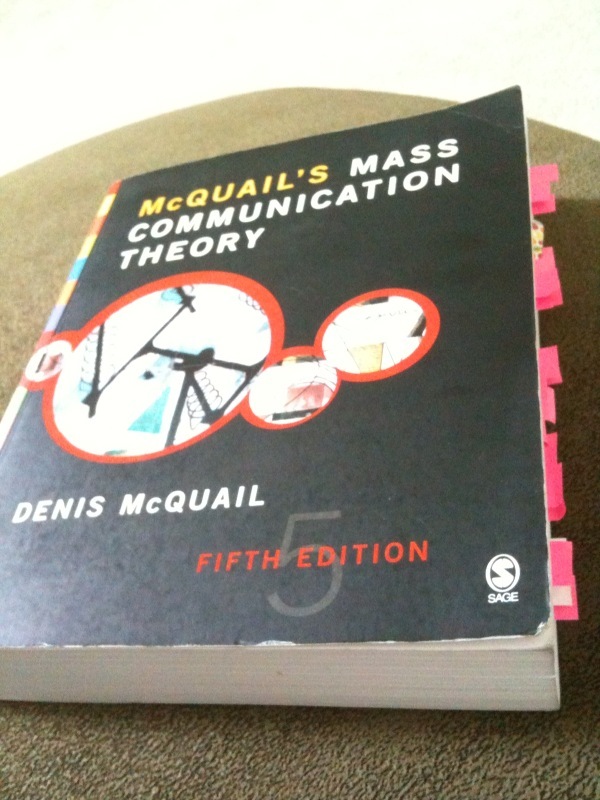 I switched gears yesterday from eating everything in sight to rereading everything on my theory reading list. Can I please whine for a moment? I’m exhausted and my back is killing me. We had 19 people for Thanksgiving yesterday — an interesting mixture of friends, family and acquaintances, and the most we’ve ever hosted for a meal. Every year, Eddie handles the turkey, and I take care of everything else (including my Brussels sprouts!). This year, Trish the Human was kind enough to take over macaroni and cheese duty, along with adding a lovely sweet, sweet potato souffle (others brought an assortment of desserts and drinks — yum!). 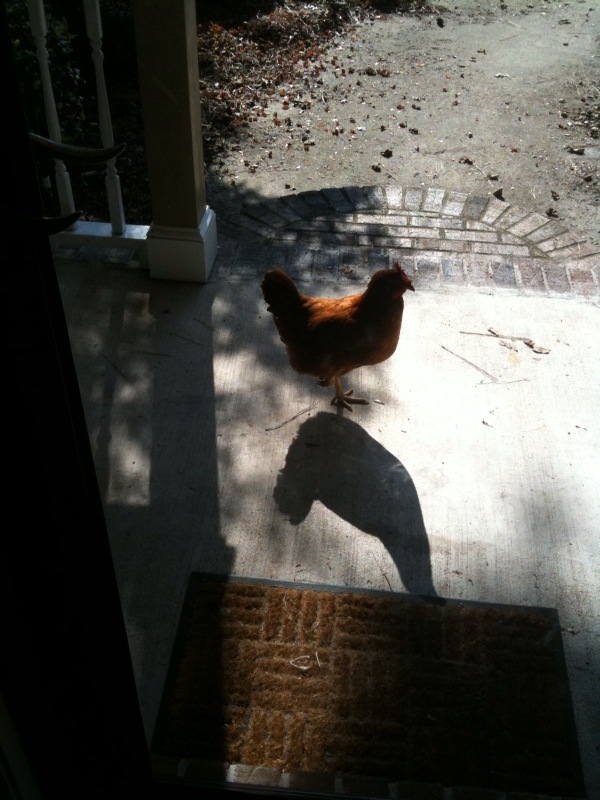 And Trish the Chicken amused everyone by knocking on the front door during our enjoyment of her fowl-weather friend. We gave the boys’ bedrooms to some family members spending the night, and I took the boys into our room to sleep. Because I had to work at the station this morning, I went to bed at the same time they did. Gideon is the worst sleeper, though. He made noise, kicked and pushed all night. So thanks to Gideon and the stress of the feast-making process, I am dragging today. DRAGGING. However, I am always entertained on my drive in to the station on Black Friday, because I can marvel at the people standing in line at Best Buy. There is nothing in there that would be worth it to me to camp out. It’s not like camping out for KISS concert tickets or something. 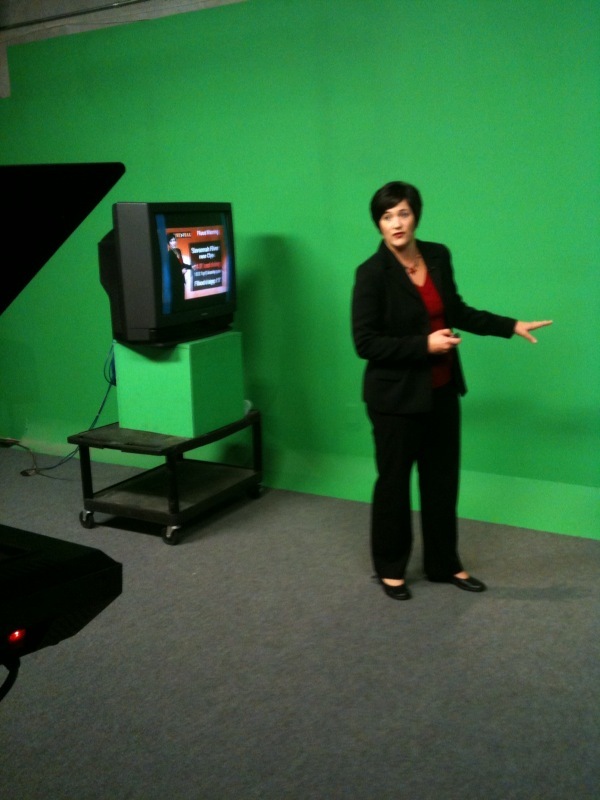 Anyway, this is me this morning, doing my thing on the green screen. 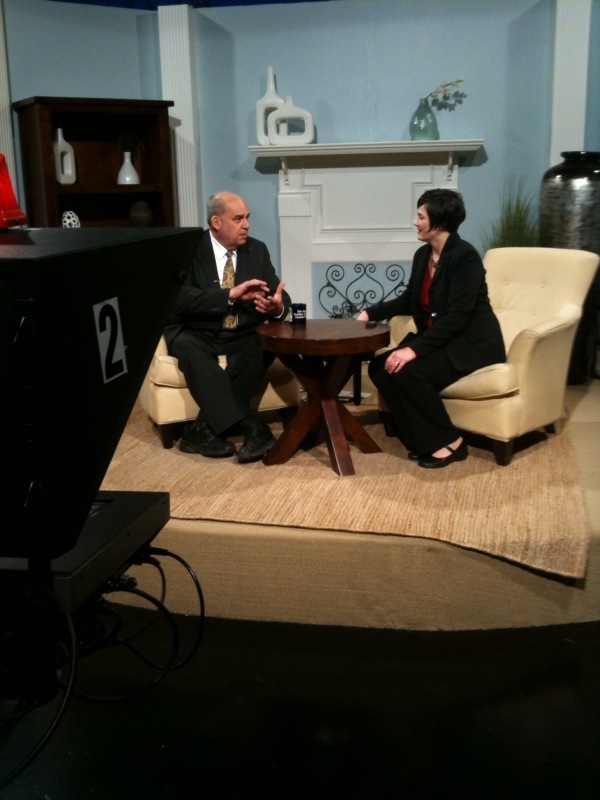 And here I am with Lyndy Brannen on The Morning Show set. When we’re not on the air, Lyndy likes to talk about rednecks and politics, and how he thinks it is stupid to recycle. He’s usually got some cockamamie mantra, such as this one from yesterday: “Reagan saved the world.” I have no idea what he really believes, but I believe he likes to say things that will get people riled up. And I also believe I need a nap. I guess this sign is supposed to tell folks that the faucet is on a sensor, but it makes no sense as written. It’s funny, though. I took this image somewhere in Shanghai last year. 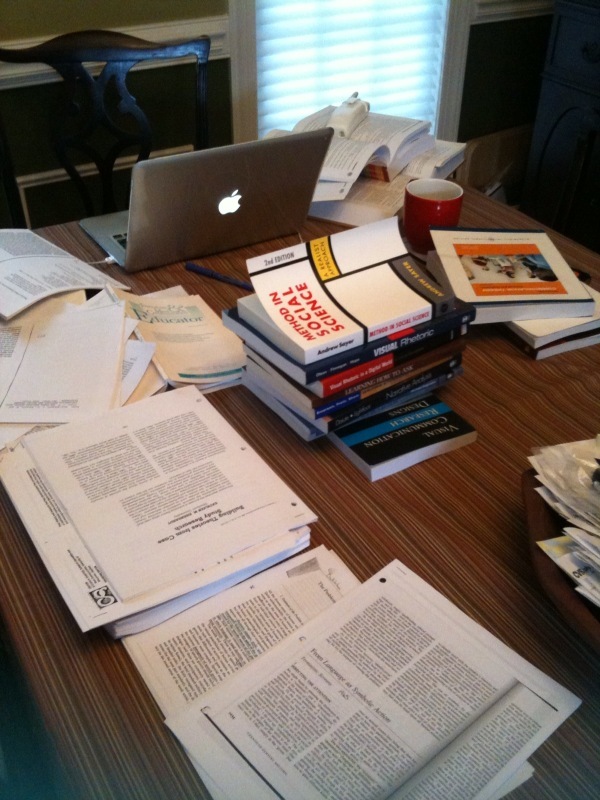 My reaction to the photo is similar to what I’m doing today: trying to make sense out of the vast amount of communication research that deals with media ethics and the journalistic decision-making process. Or it could be a reminder that my life is flushing down the dissertation toilet. I’m supposed to be working on my dissertation proposal (oh that old thing), but I don’t want to neglect my blog and leave my faithful readers hanging. That’s assuming I have any, of course. So here is a Trish anecdote for purposes of amusement (and stalling). "I said, is anyone home?" Apparently, this was not the first time she has come calling. Eddie said she banged on the door Friday too, and the boys cracked up. 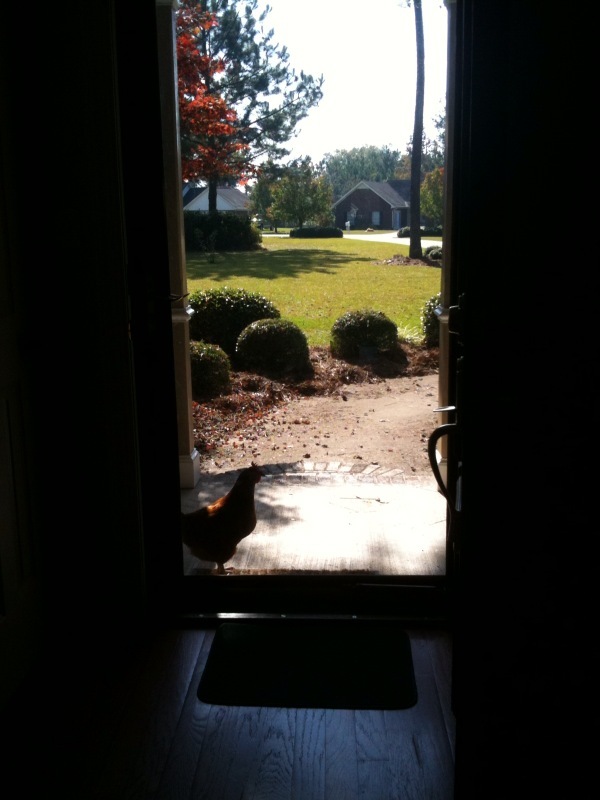 I wonder what she would do if I let her inside. Besides poop, that is. 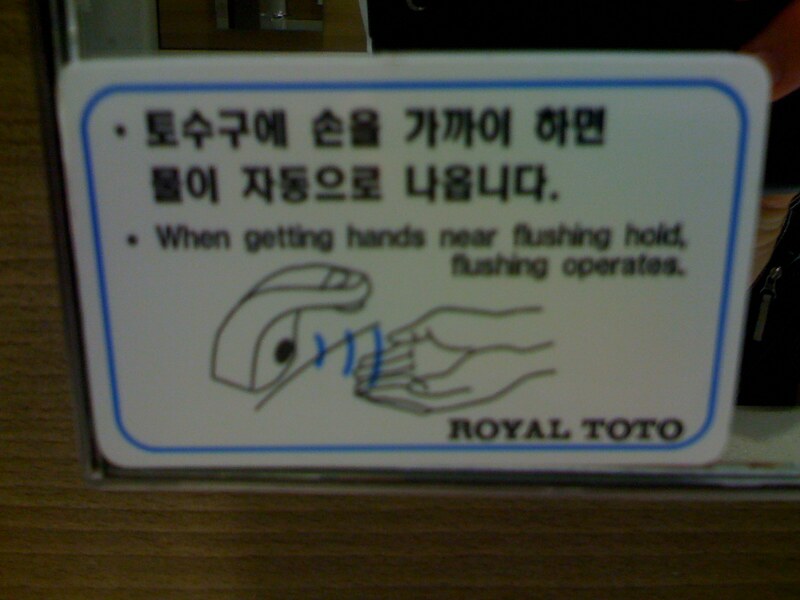 And I certainly don’t want THAT in here. While I enjoyed teaching each of my four classes this quarter, the one that affected me the most on a personal basis was Persuasive Writing. In the final persuasive research papers, the graduate students — all writers of promise — encouraged me to stop watching “Hoarders,” camp in national parks, support art funding in schools, lobby for a three-point harness on airplanes, write my representatives in support of the Alzheimer’s Breakthrough Act of 2009, join the bone marrow registry, and go vegan. One affected me so much that I’m doing research today. Can you guess which one? Here’s a hint: Think about my blog. Yes, I’m considering veganism. Or at least a more cruelty-free lifestyle. All of the papers were persuasive, but only one made me consider each bite of food, every meal I prepare, and all my grocery-shopping trips. I don’t really object to eating meat in general, but I have always objected to the American meat industry and the horrible way animals “live” and die on factory farms. I don’t eat beef in America, in fact, for this reason. This morning, I eyed the Thanksgiving turkey in the freezer and felt sad and guilty. I fed Trish and thought of the cellophaned breasts in the refrigerator. I threaded Dominic’s belt through the loops on his pants and thought of milking Rosebud in the second grade. And now I’m wondering if this Web site is on the up and up. In addition to using Twitter and Facebook to communicate, I use social media to procrastinate. And with all the stuff hanging over my head, I’ve been socializing like crazy. 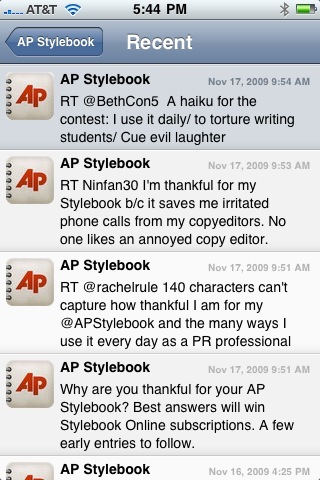 One of the entities I follow on Twitter is the AP Stylebook, of course. The good folks who maintain the account are running a contest. 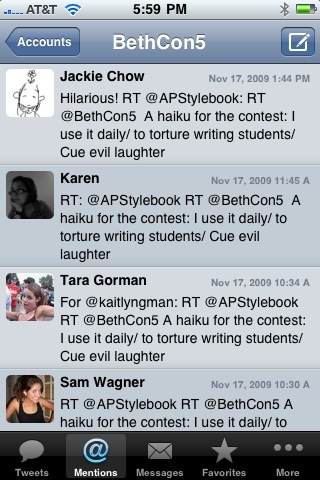 They want people to tweet their reasons for using the stylebook. The “best” answers win a Stylebook Online subscription. I find myself having crushes on particular edible items and losing my mind over these items until I make myself sick. And then my addiction is over. So if I think something is yummy, I will go crazy, purchasing as many as I can find. 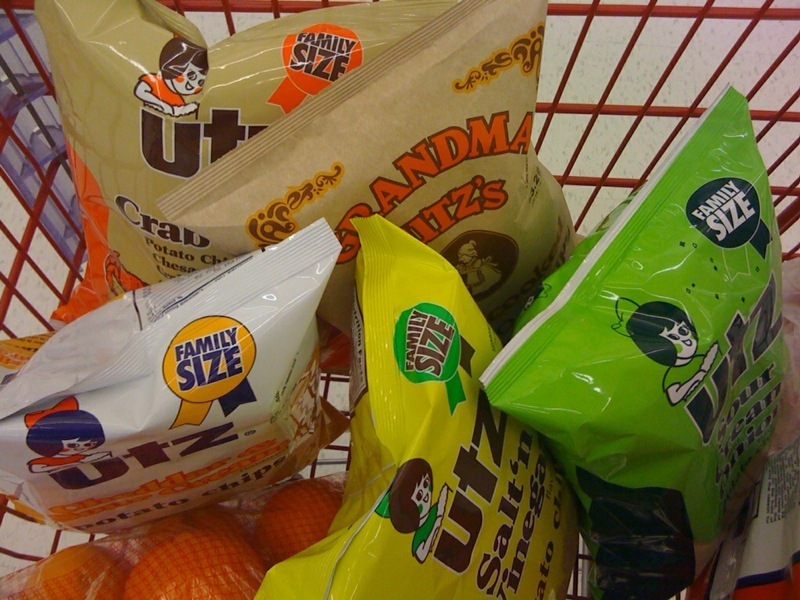 Take, for example, my latest fixation: Utz chips. It started with a bag of the crab chips (see related post), and then spread to the Grandma’s kettle ones. Who knows where it will end because I have found an enabler: my friend Terri. We flew to Baltimore together, but she stayed for a few more days to visit her parents. Though I love to travel, I don’t like to pack and unpack, and I refuse to check bags. So I have to be careful if I shop. 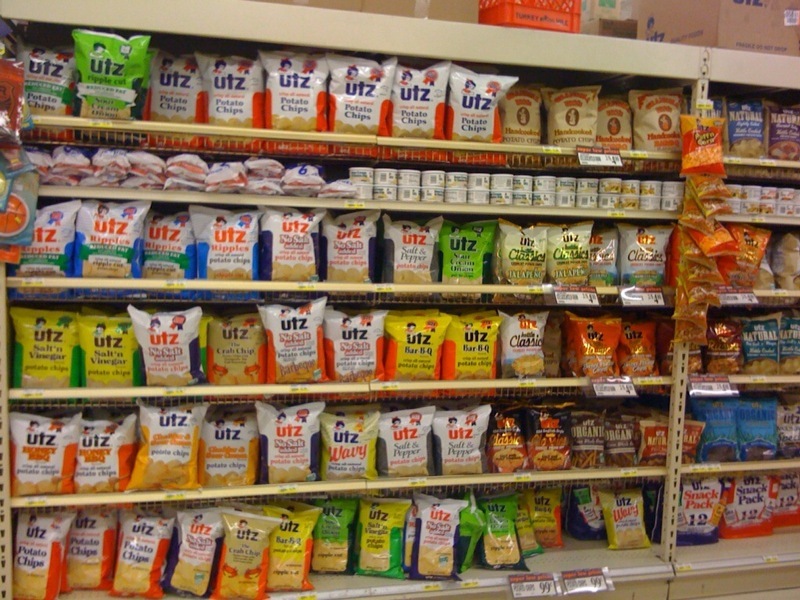 While in Baltimore, I did purchase a few things for friends and family, and thus did not have room to bring back any Utz. Plus, bags of chips take up a lot of room and crush easily. Packing = bad idea. Terri and I concocted a plan: She and her mom would go to the grocery store and do a little shopping for Utz (with some Berger thrown in) and mail me the contraband. And I would pay her for parcels and postage. Thank you, Terri, for feeding my addiction. No intervention necessary. I’m sure I’ll make myself sick, then move on to something else.